Heidegger scholars consider the philosopher's recently published notebooks, including the issues of Heidegger's Nazism and anti-Semitism. 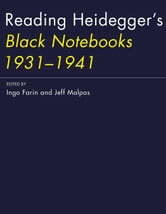 For more than forty years, the philosopher Martin Heidegger logged ideas and opinions in a series of notebooks, known as the “Black Notebooks” after the black oilcloth booklets into which he first transcribed his thoughts. In 2014, the notebooks from 1931 to 1941 were published, sparking immediate controversy. It has long been acknowledged that Heidegger was an enthusiastic supporter of the Nazi Party in the early 1930s. 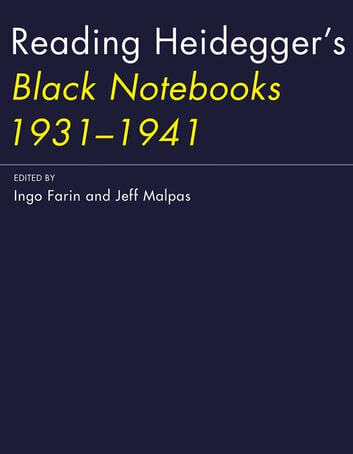 But the notebooks contain a number of anti-Semitic passages—often referring to the stereotype of “World-Jewry”—written even after Heidegger became disenchanted with the Nazis themselves. Reactions from the scholarly community have ranged from dismissal of the significance of these passages to claims that the anti-Semitism in them contaminates all of Heidegger's work. This volume offers the first collection of responses by Heidegger scholars to the publication of the notebooks. In essays commissioned especially for the book, the contributors offer a wide range of views, addressing not only the issues of anti-Semitism and Nazism but also the broader questions that the notebooks raise.